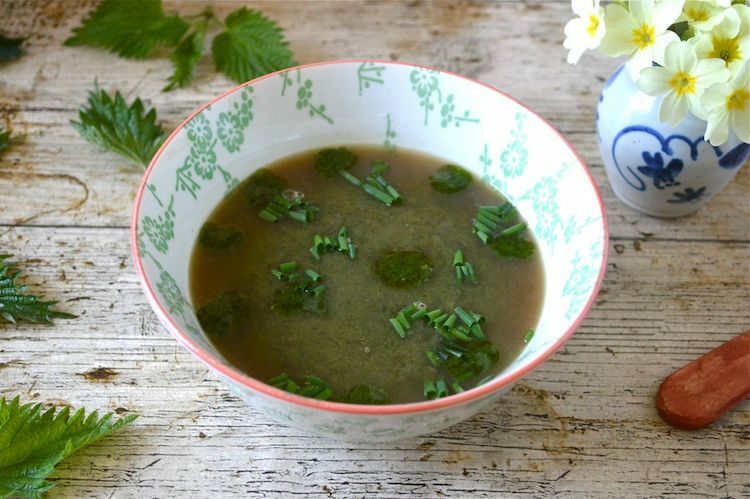 When spring finally emerges, I like to banish lethargy and listlessness and that’s when I start to crave the vitalising, cleansing effect of nettles. I normally have my first bowl of nettle soup in March, but I was a bit late in foraging any from our plot this year. When the day dawned bright and fair on Sunday morning, I was determined to go nettle picking – and I did. CT has been interested in The Lost Crops of the Incas for a very long time. One he’s been growing over the years is oca (Oxalis tuberosa). I was recently gifted a kilo of beautifully coloured oca tubers from The Guild of Oca Breeders. This was a rare treat as I hardly ever get to try any of CT’s precious tubers. You can prepare them in pretty much anyway you’d cook a potato, but I like them best roasted. 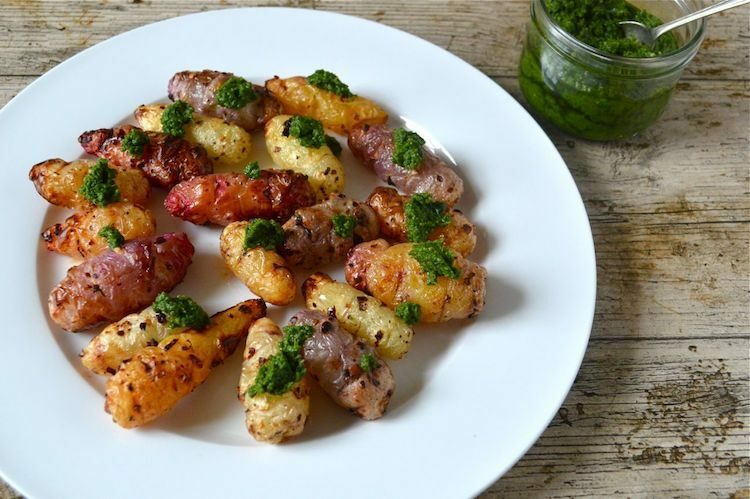 Here I give you my recipe for a quick and simple dish of chilli roasted oca with hedgerow pesto. We were walking along the North Cornish coast path last weekend when CT spotted a massive patch of rock samphire. We didn’t want to be greedy, but it seemed too good an opportunity to miss, so we picked enough to make a meal out of. This dish of samphire noodles with marinated tofu was the result. 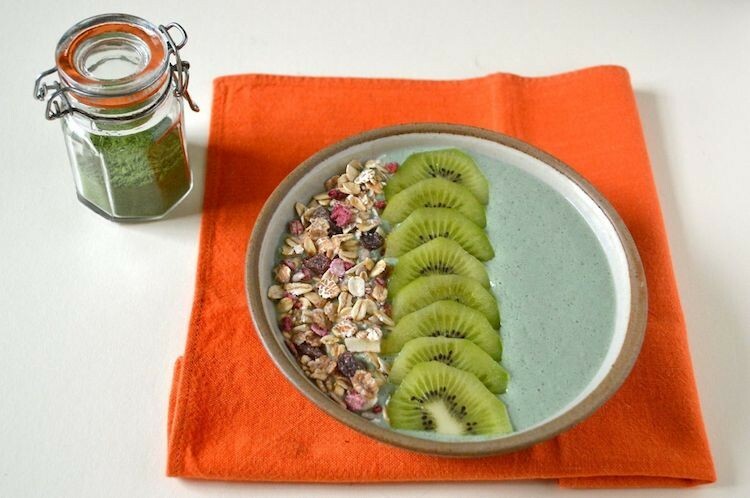 I’m super excited about my latest green powder for my smoothies. It may not be an original idea, but it was original to me. As soon as I knew I was getting a dehydrator, I was stung into action, literally. The first thing I did was to try drying nettle leaves in the hope I could turn them into a fine green nettle powder. Wild garlic is a forager’s favourite: it’s easy to see, easy to identify and easy to gather. It tastes great too if you’re a garlic lover like I am. The season is quite short, so time is of the essence. 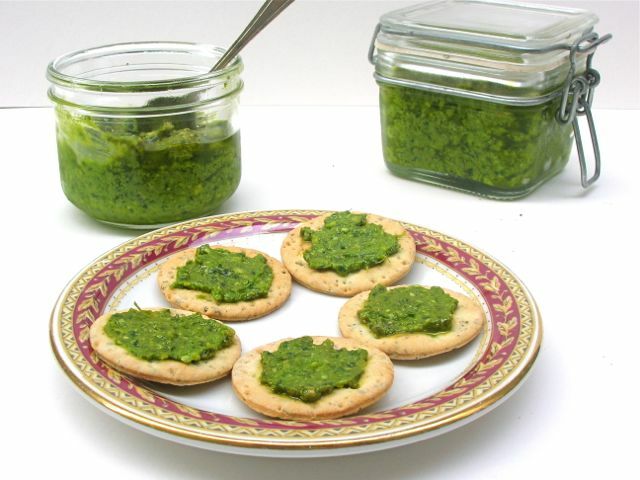 This year, for the first time, I made wild garlic pesto. 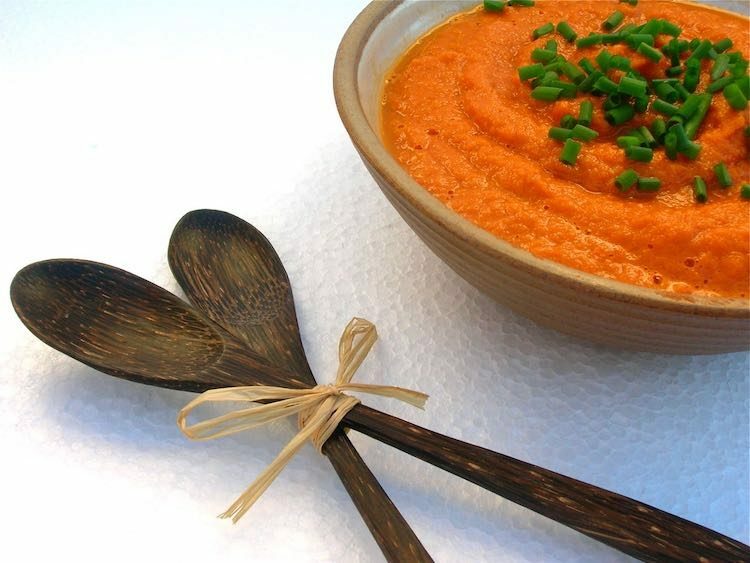 It’s so good and so versatile, I’ve been using it in all sorts of recipes. More of that later. One of the many highlights of our day at River Cottage last week, was the blackberry and apple spelt soda bread we made along with some beautiful butter. 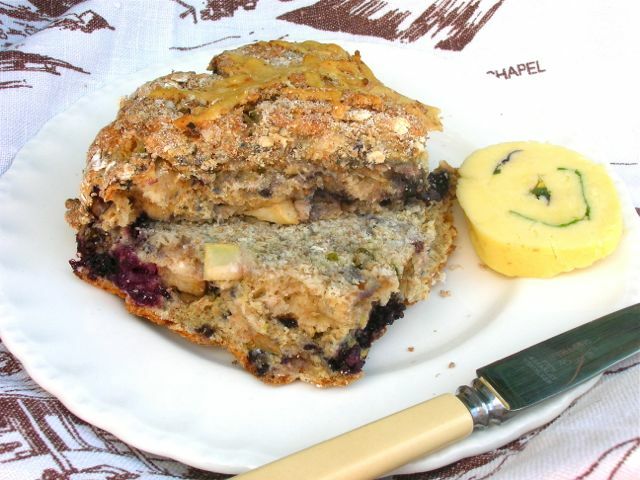 I was so delighted with the bread that I went foraging for blackberries a few days later and made a loaf at home. When Kate announced that blackberries were to be the special ingredient for this month’s We Should Cocoa, I knew exactly what I wanted to make. 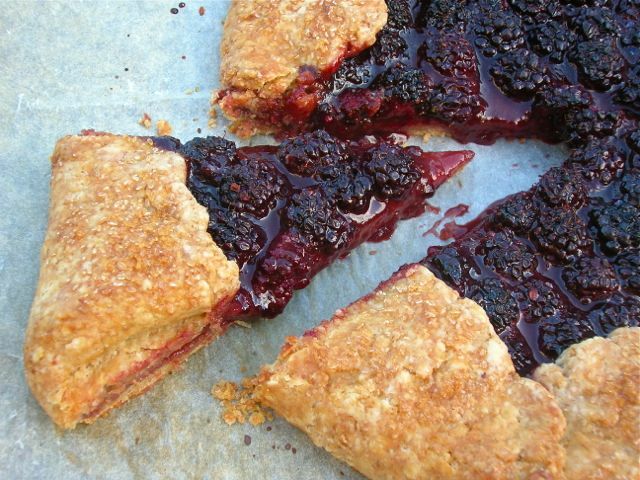 Ever since my first rustic gooseberry galette earlier in the year, I was dying to try one with blackberries. But it wasn’t going to be any old galette, it was a double blackberry chocolate galette. Another year goes by and another year we are not as organised as we’d like to be down on the plot. We don’t have much in the way of veg to eat at the moment, but we do have a lot of weeds. Luckily for us, many of those weeds are not only edible, but quite delicious when eaten young. Fat hen and chickweed are two of these. Time to make fat hen and chickweed pesto. I’ve said it before and I’ll say it again. I am having such fun with my Froothie power blender. Mostly, I’ve only used it so far for making smoothies, but smoothies I’d never have been able to make in my old blender. I’ve already posted about my kefir raw cacao and goji berry smoothie. 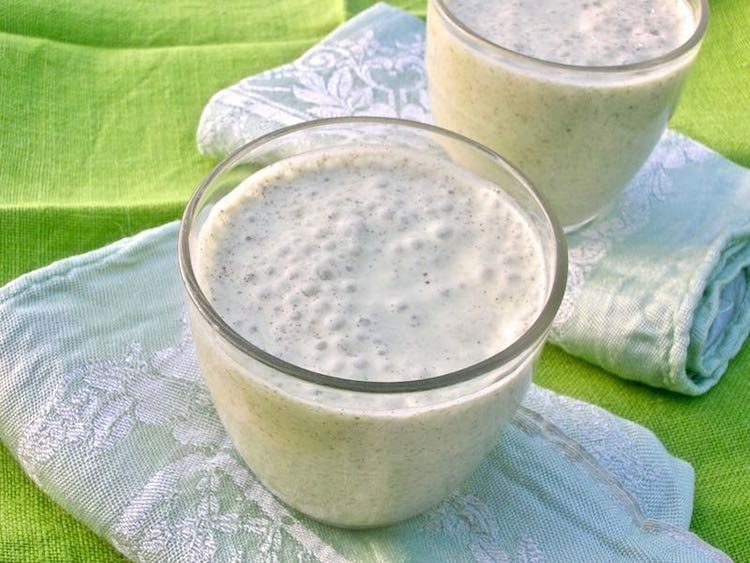 Today I thought I’d try a spring tonic nettle smoothie.